Killeen Police Department is asking for assistance in identifying two people of interest. On Sunday, August 6, 2017, Officers received information about a theft that occurred in the 1400 block of Lowes Blvd. 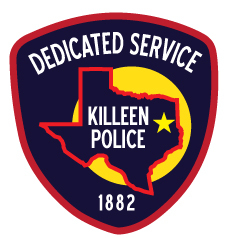 The victim reported that an unknown person stole her wallet from her purse and made an unauthorized transaction at a Killeen Wal-Mart using her debit card. During the course of the investigation, detectives were able to obtain photographs of two females. Detectives are asking anyone who may information about this Theft or if you can identify the females in these photos, to contact Crime Stoppers at 254-526-TIPS (8477) or go online at www.bellcountycrimestoppers.com. You can also download the P3Tips App for IOS and Android and give an anonymous tip. All information given is anonymous and confidential, and if your tip leads to the arrest of the person(s) responsible for this Theft, you could be eligible for reward up to $1,000 in cash.